His role as the original Hannibal Lecter secured his place in Hollywood 30 years ago. He is now one of our most respected actors. In his latest movie, Churchill, due for release in June, he plays the wartime Prime Minister. 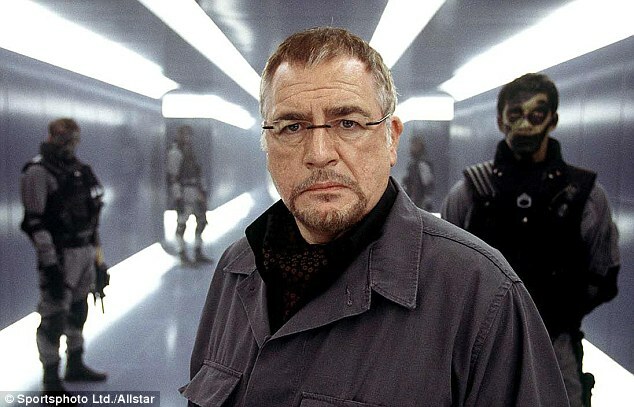 Now, on the eve of the 89th Academy Awards ceremony in Los Angeles, Brian Cox has entered the ongoing Oscars ‘diversity’ debate by calling for white, not just black and Hispanic, actors to be given more varied roles in Hollywood. Cox, who will not attend the Academy Awards tonight, said there should be no colour bar on roles. He added: ‘It’s kind of racist in reverse to say if you are a white man, you can’t possibly play a black man. The controversy surrounding the lack of non-white nominations last year and in 2015 led to threats of boycotting by celebrities and even earned its own Twitter hashtag, #OscarsSoWhite. After a change in judging, however, this year’s Oscar nominations are more diverse, with seven non-white actors and four directors up for an award. If it works, go for it. In employment law we have the concept of Bona Fide Occupational Qualifications. When the job calls for unique qualifications that fit only a male or female, black or white, Caucasian or Asian, or other qualifications, an exception is made in otherwise open recruitment. It wouldn't do to have a white play a black man if the film was about race. But if the script can be made to accommodate, why not? There's no reason why Gray Grantham in Pelican Brief could not be white. Will Smith in I am Legend (2007) portrays the same character that Charlton Heston played in 'The Omega Man' back in 1971.. I think it's more about what Quill picked up on; if you're making a film about an historical black character, like Mandela, for instance, it really would be stupid to turn a white man into a black man. There are plenty of black actors to play the role so why choose the wrong-coloured actor? Black actors should play roles based and written about black people...white people should play the roles written and based on them. James Bond is white....half Scottish actually, which is why the odious Sean Connery will probably always be thought of as the prefect Bond. Muhammad Ali should ALWAYS be played by a black man...not a white man blacked up...and so on.. There is certainly plenty of meaty roles written for black actors....as this years Oscars proved. It is just his racist eyes only notice it when a black man gets to play a white man not the 100's of cases, entire films where ethnic people are all played by whites. And the guy can STFU and let balance be resorted since only 50 years ago almost every role when to whites even when it required ridiculous make up an dodgy stereotypes.